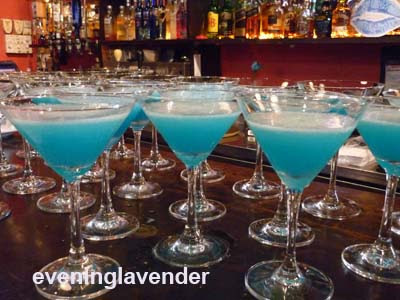 Evening Lavender: How does it feel to be K.I.S.S.ed by Kinerase? How does it feel to be K.I.S.S.ed by Kinerase? How have you been lately? 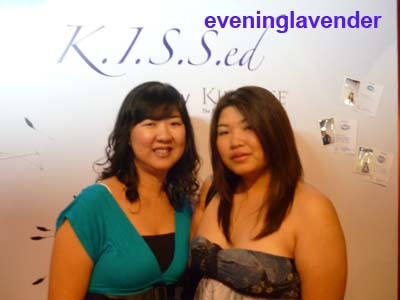 I have been very busy at work but managed to attend several interesting beauty events. 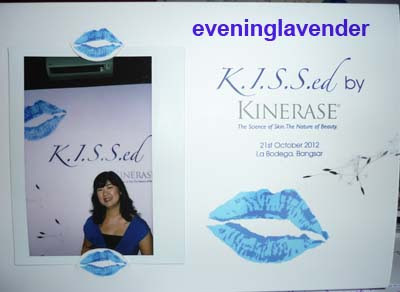 Thanks to Tammy of Plusize Kitten who has invited me to the K.I.S.S.ed by Kinerase event at La Bodega, Bangsar. It was an awesome event. I did not expect that I would be K.I.S.S.ed by Kinerase but Kinerase had actually "kissed" me on my hand and I love the kiss. who wouldn't? We were requested to dress in blue and I was amazed that a girl actually wore a blue wig!! It was such a happening event! 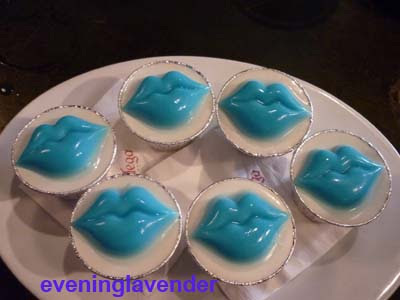 Basically, we had everything in blue.We were served with blue lip-shaped jelly that tasted yummy! I had 2 of them. The blue coconut cocktail drink was refreshing too. There were many bloggers at the party. The whole place was bustling with activities. 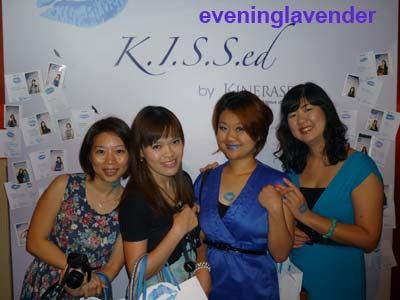 There was a makeup corner where the makeup artists helped bloggers to paint their lips blue and put blue eye shadow. 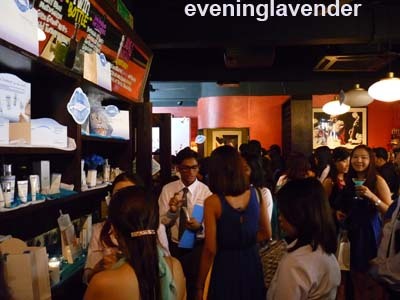 At the tatoo corner, bloggers were being tatooed with the Blue lips. At the photograph corner, bloggers were busy having their polaroid pictures taken. 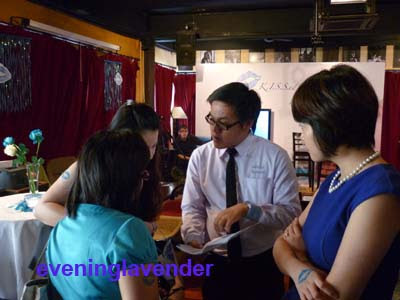 At the floor, bloggers were seen consulting Kinerase staff with the product range. Some bloggers were busy cathing up and some were busy taking pictures. Finally, we arrived at the highlight of the event where we had 3 panelists sharing with us their product knowledge and experience with Kinerase. I believe that it is every woman's dream to have flawless and wrinkle free skin thoughout her life time. It may seemed too much to ask for but with the advancement of the science of skin, Kinerase is confident that they can make every woman's dream a step closer to reality. Although fine lines and wrinkles cannot be completely eliminated as we mature, we can make extra effort to delay the appearance of fine lines. Kinerase is a skincare product that has a secret ingredient called Kinetin or scientifically known as N6-furfuryladenine (such a mouthful!). 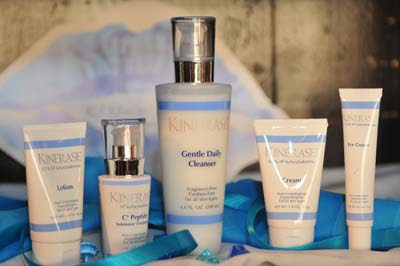 Kinerase is the only professional skincare line that contains optimal concentration of Kinetin which is a bio-growth factor that delays and prevents the onset of aging. Kinetin is clinically proven to improve the various signs of photo aging and also improve the skin's ability to maintain more moisture. Kinerase is suitable for sensitive skin including rosacea and can be used to nurture delicate skin after aesthetic procedures. Through the Kinerase Innovative Skincare Study (K.I.S.S), 76% of all patients showed improvement in skin roughness, mottling, blotchiness, pigmentation and fine wrinkles as early as 4 weeks! Kinetin is found naturally in plant such as coconut milk and carrot root but one has to consume very large quantity to see significant improvement on the skin. 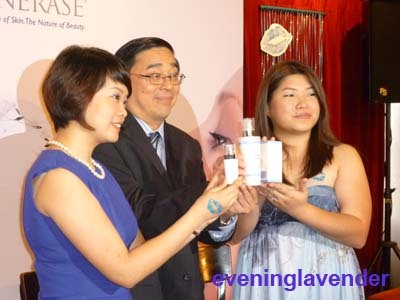 During the event, I had a chat with Amy Zheng (Kinerase Regional Marketing Director) and found out that the Kinerase skincare that is available on the SkincareRx website are of different formulation. Kinerase for Asian market is manufactured in Singapore by Invida Private Ltd. Therefore, the formulation is specifically designed for Asian skin and Asian climate. 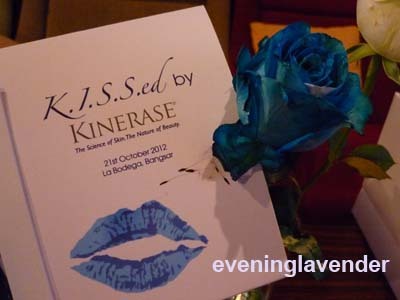 Where to find Kinerase products in Malaysia? 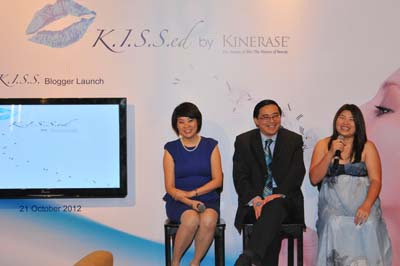 Kinerase is available at dermatologist and aesthetic clinics in Malaysia. So, for Asian customers, you are recommended to browse www.kineraseasia.com.my for the clinics nearest to you. Wth Tammy - the Kinerase "ambassador"
The lovely gifts for us to try out! Thanks Kinerase! It is Great Event and learn to be reverse aging time, Cool Right!